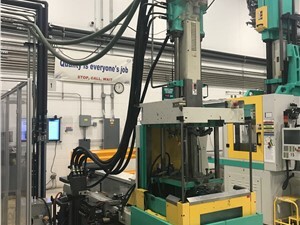 Challenging injection molding production lines require expert injection molding partners so you can create the high-quality plastic parts you customers expect effectively and economically. Arlington Plastics Machinery offers a wide range of vertical injection molding machines and parts for your shop. 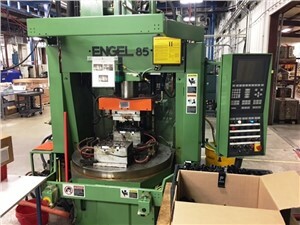 Arlington offers new and used injection molding machines from all the major manufacturers such as Milacron, Engel, Van Dorn, and Nissei. Our experienced experts understand that each application is unique and can help you address any challenges. 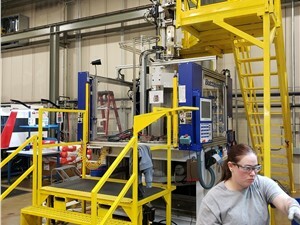 Vertical injection molders are used to create molded plastic pieces that are attached to or inserted in other materials. Think of a screwdriver; the plastic handle is molded around a metal shaft. Vertical injection molders feature a clamp which holds the mold from which the end product will be made. 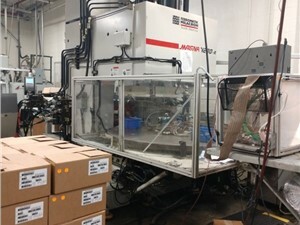 Vertical injection molders can be configured with either a shuttle table or rotary table to convey the mold. 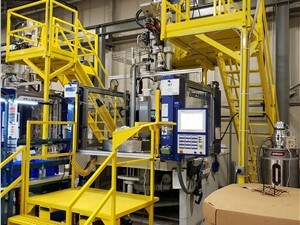 Rotary table vertical injection molding machines rotates the mold first to a load station, then a molding station, and finally an unloading station. Rotary tables allow for complex parts to be formed and maximize production. Shuttle table configurations move two molds that slide in and out of the injection area. These are great for safe and easy product handling, simultaneously loading and unloading parts during molding. 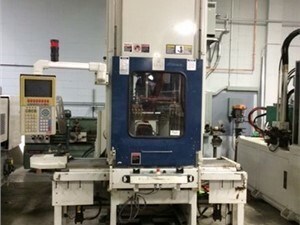 At Arlington Plastics Machinery, we buy and sell injection molding machines, so you can be sure that we have the knowledge to help you find the right fit for your needs and budget. In fact, our machines offer an affordable alternative to new machinery without compromising quality. We encourage you to look through our new and used vertical injection molding machine inventory to find a product that fits your production needs. If you need any assistance, you can speak with one of our experts. You can also fill out our online form to request a free, no-obligation quote for any of our machines!